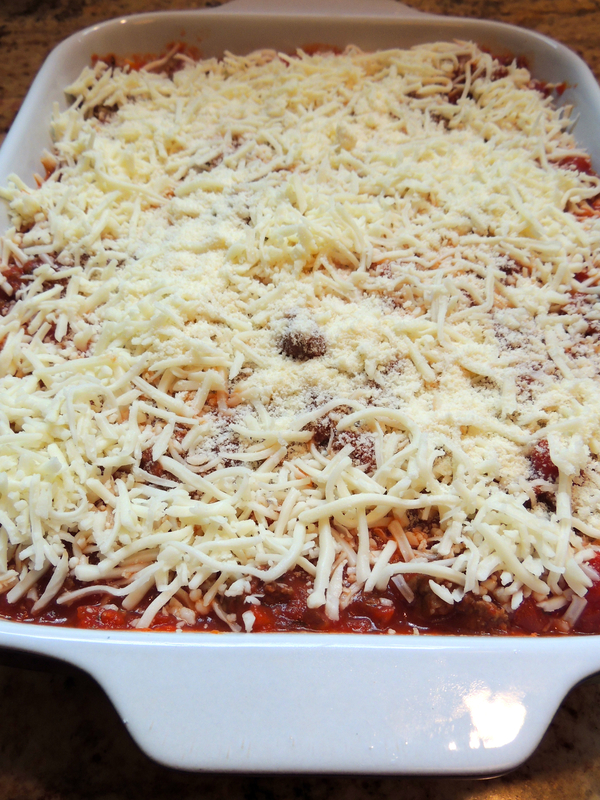 How To Make Lasagna… Step-by-step! Lasagna. One of my favorites! I can remember my mom making this when I was a kid. It was my all time favorite! 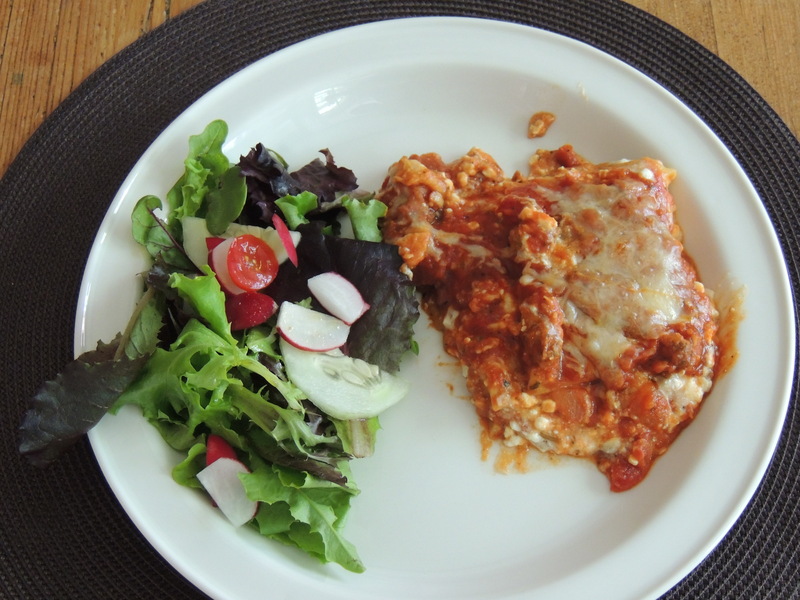 Everyone thinks Lasagna is so time consuming, BUT, it doesn’t have to be! It makes quite a bit, and leftovers, ahhh, yum! You can click on the link below to print the recipe, and then jump down and check out the quick recap so you can see for yourself, it’s not hard! 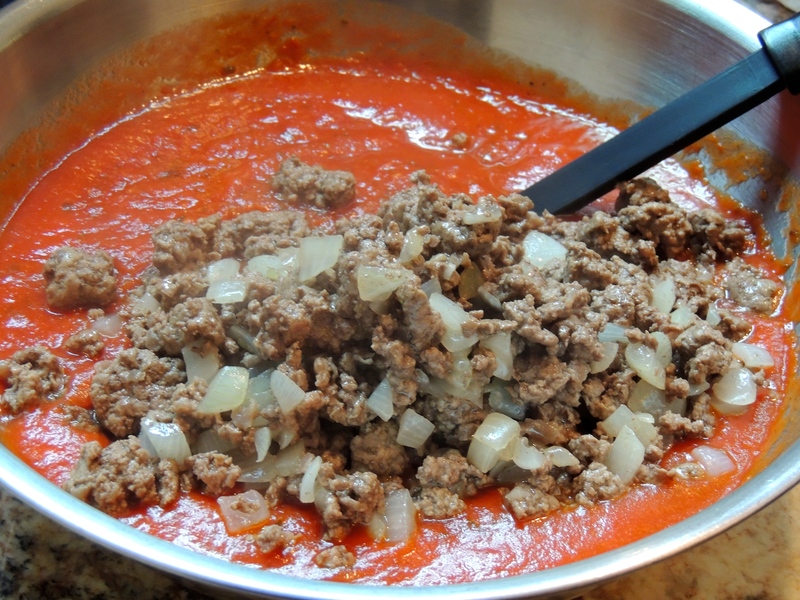 Add cooked Ground Beef or Italian Sausage/Onion to the two jars of marinara sauce (I use tomato basil flavor)… (and I use chicken Italian Sausage). You can also use homemade sauce, which I have done, but it’s hard to tell the difference, so… make it easy on yourself! This is what makes it so special! 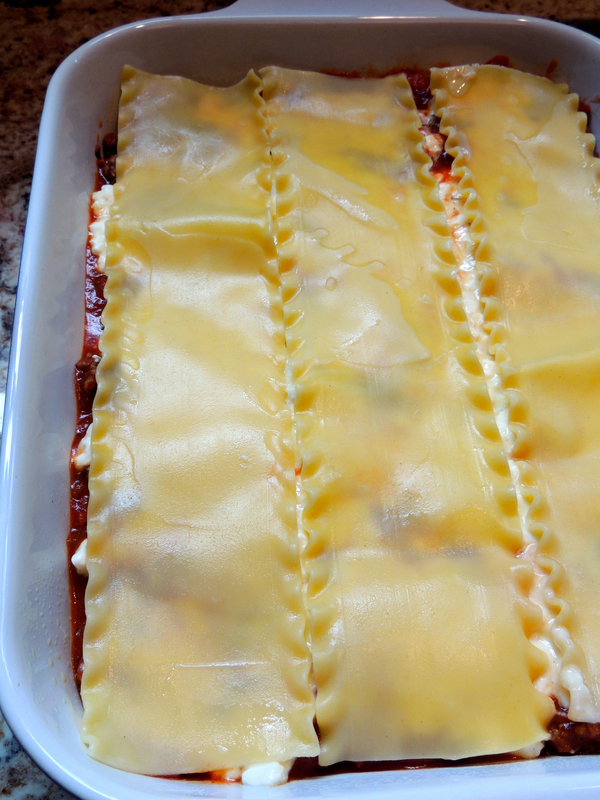 Begin layering, start by putting a small amount of sauce (so noodles don’t stick) to bottom of lasagna pan, spread it around, then top with Lasagna Noodles, Cottage Cheese mixture, Mozzarella Cheese, then (as shown below) start layer two, Lasagna, Cottage Cheese, etc. You’ll end up with this! Owie! The fabulous smell of this baking is enough to drive you crazy. Bake it, then be sure to let it rest 10-15 minutes – good luck with that part, it’s not easy! One of my favorites as well. Also make with veggies ! Substitute either frozen spinach and fresh mushrooms with garlic or fresh veggies . Broccoli . Artichokes, okra also good together. Love lasagna! Question about the recipe: the ingredients list one egg. 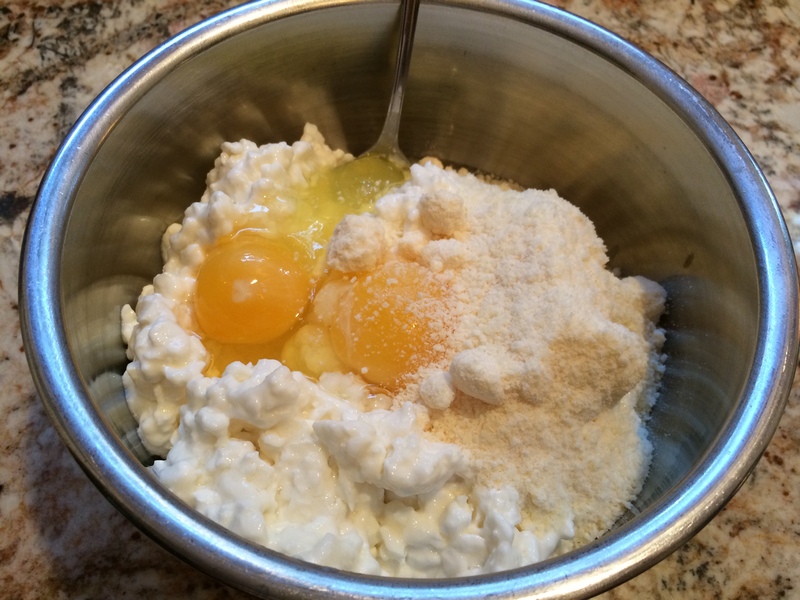 The step by step picture shows two eggs in the bowl. Did you use two eggs? A friend of mine who teaches home ec told me about a shortcut. 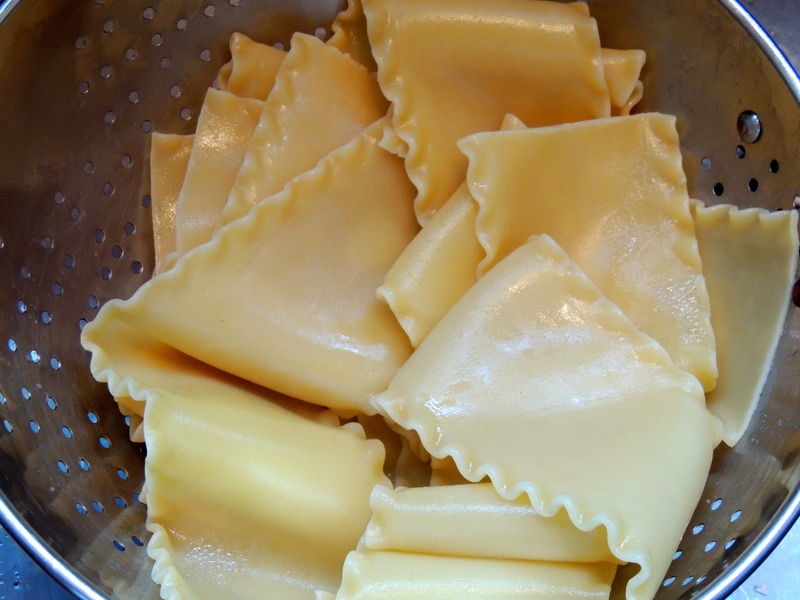 You can use regular lasagne noodles, but don’t cook them. Layer the lasagna normally. After that, very gently pour about a cup of water around the edges of the pan. (Like in between the pan and the edge of the noodles). Eye the water up because it may take more or less than a cup. This extra water is going to cook the noodles for you as it bakes. Cover the baking dish with aluminum foil and bake for regular time. The noodles should be done. You can bake a little longer uncovered if you like. Remove from oven and let it sit for a bit. Delicious! WOW! You are good! Look at that, I don’t follow my own recipes, ha ha! The recipe does call for one egg (I just double checked another version I had)… for some reason I used two… only need 1! 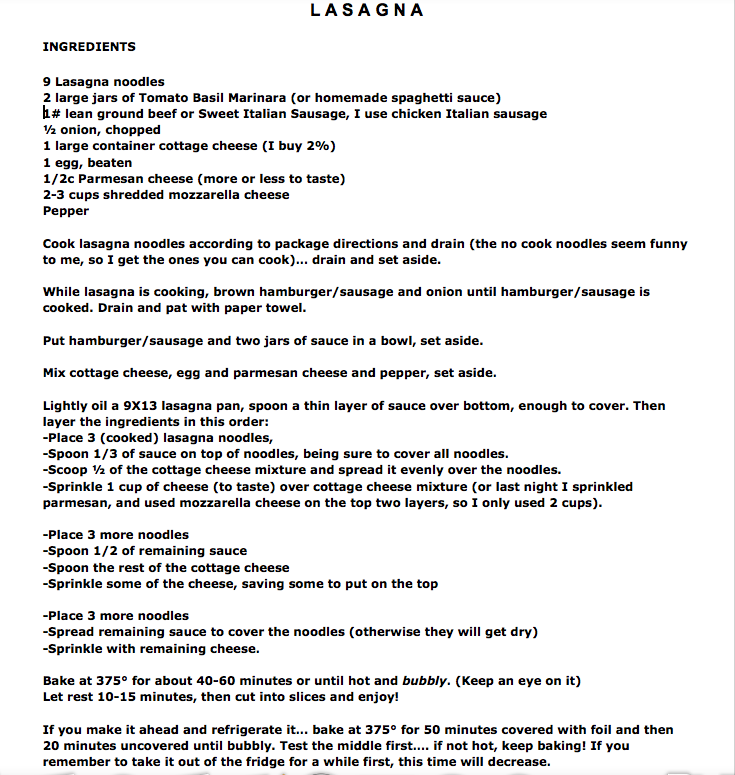 Cool trick to not cooking the regular lasagna noodles! Must try it! Thanks for commenting!